Do you have some AVI (Audio Video Interleave) files on your Mac which you want to convert to MP4? Mac’s default video player lacks support for .avi files, so do many other players and devices. You might also want MP4 files instead of AVI due to a good compression rate and the final quality. While, the following paragraphs will explain in detail how to convert AVI to MP4 on Mac. To easily convert AVI to MP4, you need software like Tenorshare Video Converter for Mac which is designed for video conversion. It converts all kinds of video formats and comes with lots of advanced options like batch conversion, video editing, and frame cropping to enhance the video quality. 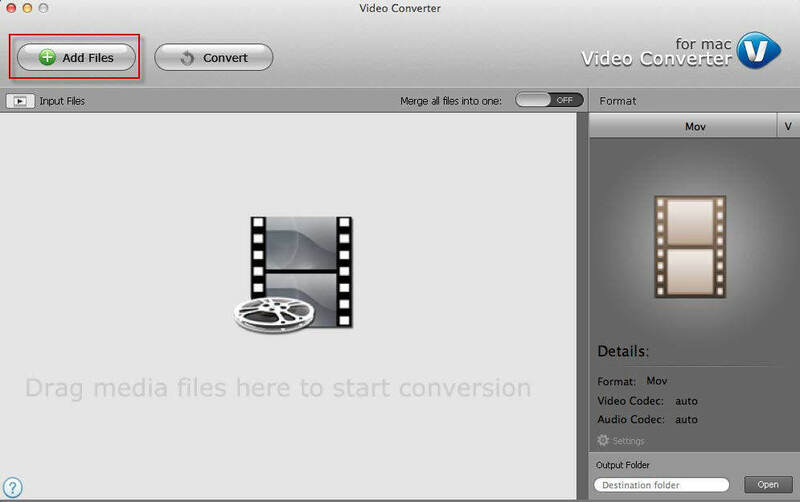 With this converter, you can convert AVI files to the MP4 format in seconds. The converter is optimized for fast speed and high quality. Steps to use are pretty easy: upload your video file to the converter, set output format and start conversion. Why not get a free download and have a try? Note: AVI to MP4 converter has both Windows version and Mac version; choose the right one according to your operating system. After downloading AVI to MP4 converter, install it and click "Add Files" button on the left top interface to add the AVI video which you want to convert. Choose "MPEG4 MP4" under Format > Video as the output video format. Click Browse button in setting panel, select a destination folder in the dialog box that opens, and click OK to confirm. After finishing the above settings, check the files needed to convert in the file list, and click "Convert" button on the main interface, to start converting the files. You can view the conversion progress from the progress bar at t he bottom of the window. Done! You’ve now have the AVI files converted to MP4 files. You can export the MP4 videos to your iPhone, iPad, iPod, PSP, Android phone, etc. for viewing or playback whenever you like. Additionally, we’ve also covered on how to convert audio files to iPhone ringtones. Click for details if you are interested.